Troop 488 currently meets at the St. Mary's Church Hall which is located at 350 Stinson Avenue, near the intersections of Stinson Avenue and Hemlock Street. The Troop meets on Mondays at 7:00 pm. We are chartered by the Vacaville VFW post 7244. The former Mayor of Vacaville, David Fleming, is the Scoutmaster and has been since 1974. The troop currently has approximately 20 active Scouts. Our troop’s program is based on a four-year rotation designed to bestow the scouts the opportunity to earn the National Outdoor Award. All of the events each year are designed to prepare for a 50-mile event each summer. 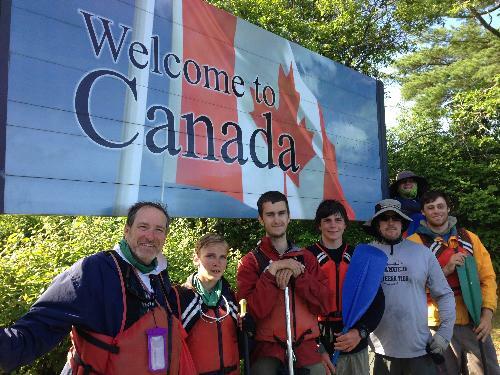 Troop 488 has also made a focus on maintaining a high adventure program. 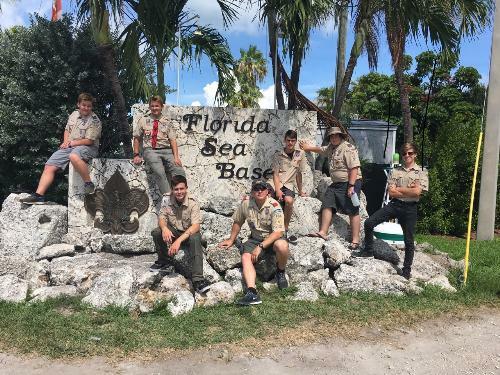 In the past five years the troop has had scouts attend three of the four BSA National High Adventure Bases (Philmont Scout Ranch, Northern Tier, and Florida Seabase). The Troop is currently responsible for picking up recyclables from the Leisure Town Senior Community on the first Saturday of each month. The recycling center, located at the Vacaville City Corp Yard on Ulatis Dr, is open to the public to drop off recyclable plastics, newspapers, glass, aluminum, and tin cans between the hours of 9:00 and 12:00. This is just a sampling of what our troop is all about. If you are interested in our troop, send us an email by clicking on the “Contact our Troop” tab on the top of this page; or come to one of our meetings.